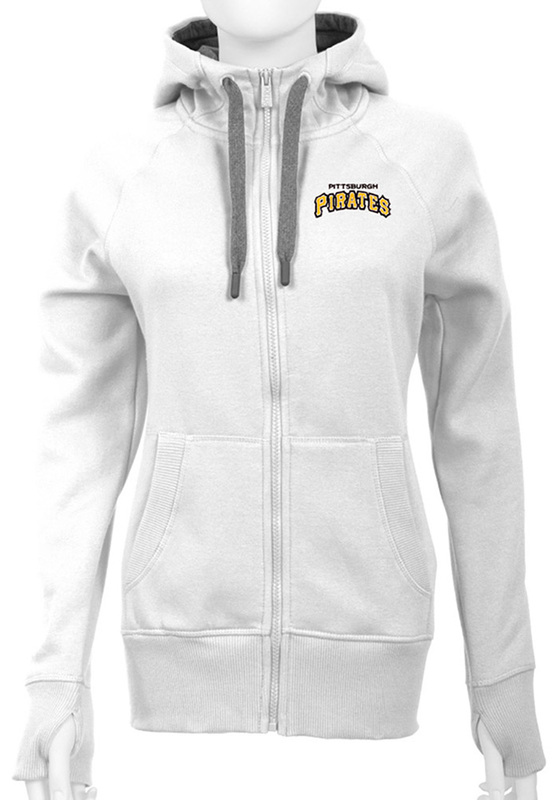 Let your Pitt Pirates colors show in this Pittsburgh Pirates Full Zip Jacket. You'll love showing off your team spirit in this Womens White Victory Long Sleeve Full Zip. Make a statement in this Pittsburgh Pirates Womens Long Sleeve Full Zip Jacket, which features a left chest embroidered team logo.